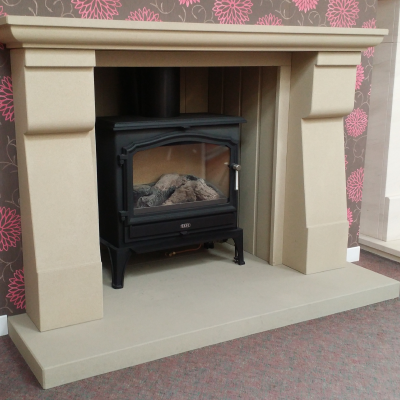 The Stapleton has clean lines and hand finished shaped corbels. 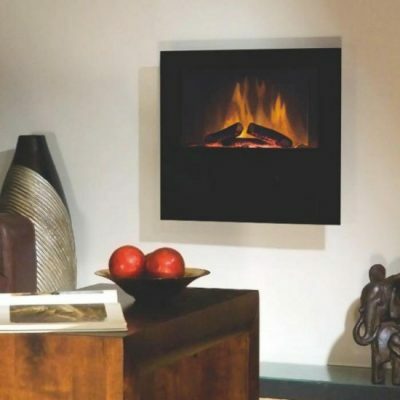 A striking design that will grace both contemporary and more traditional living spaces. 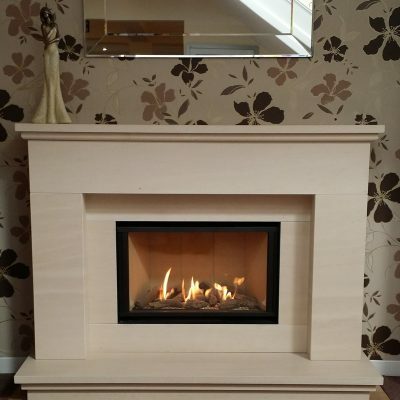 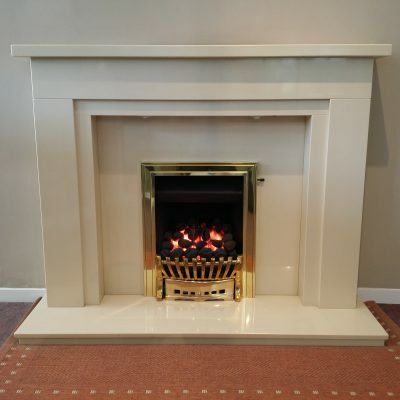 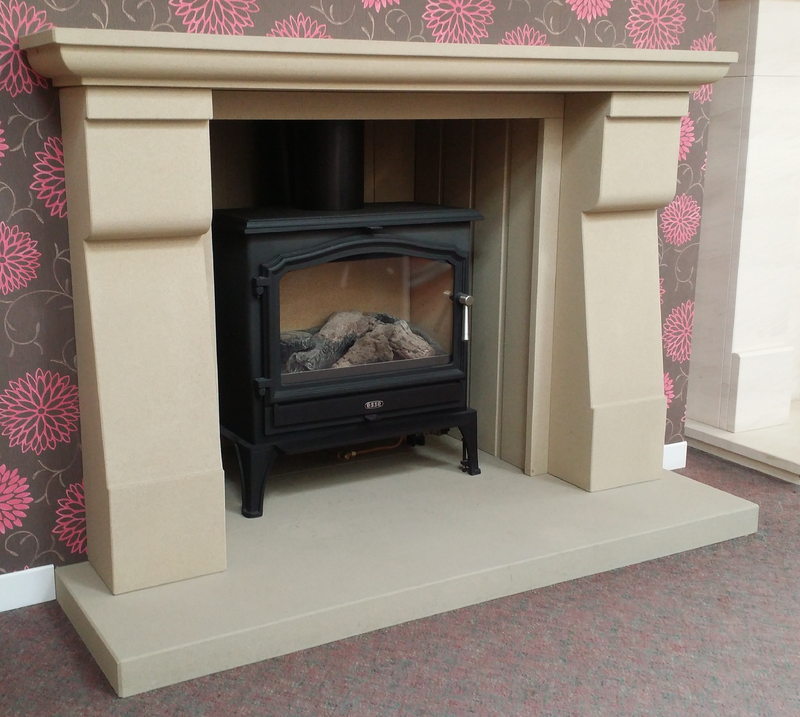 Manufactured in beautiful natural Derbyshire Stone, complete with matching patterned internal Stone chamber and solid Stone hearth. 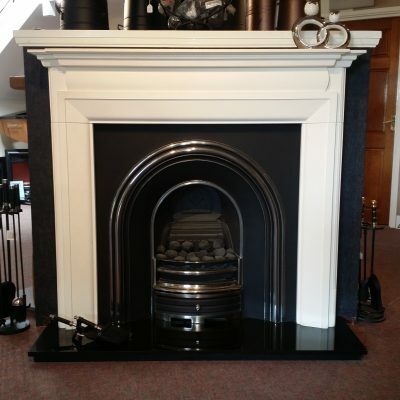 An ideal fireplace for a freestanding stove appliance.